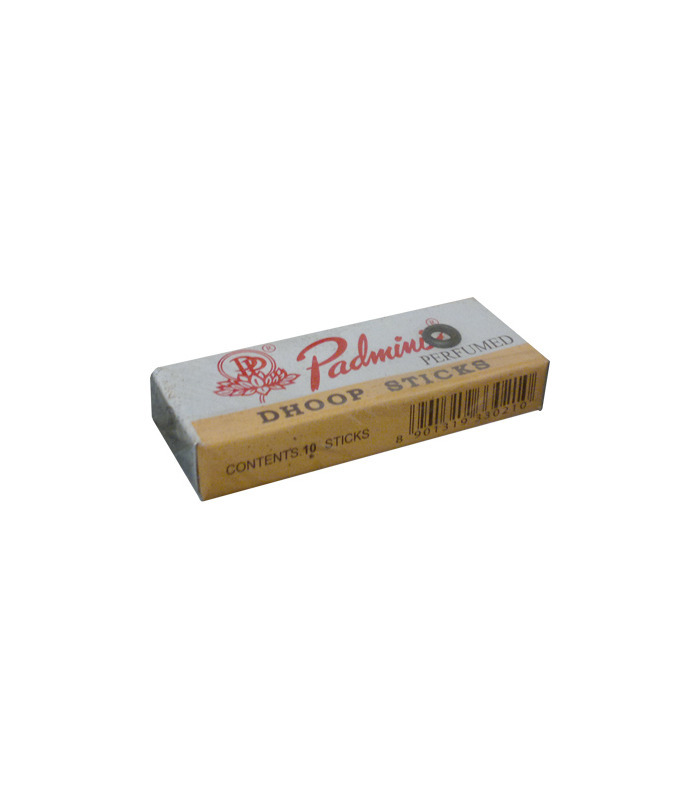 Padmini Dhoop sticks are pure incense, shaped like a log. The dhoop sticks are used for poojas and religious ceremonies. 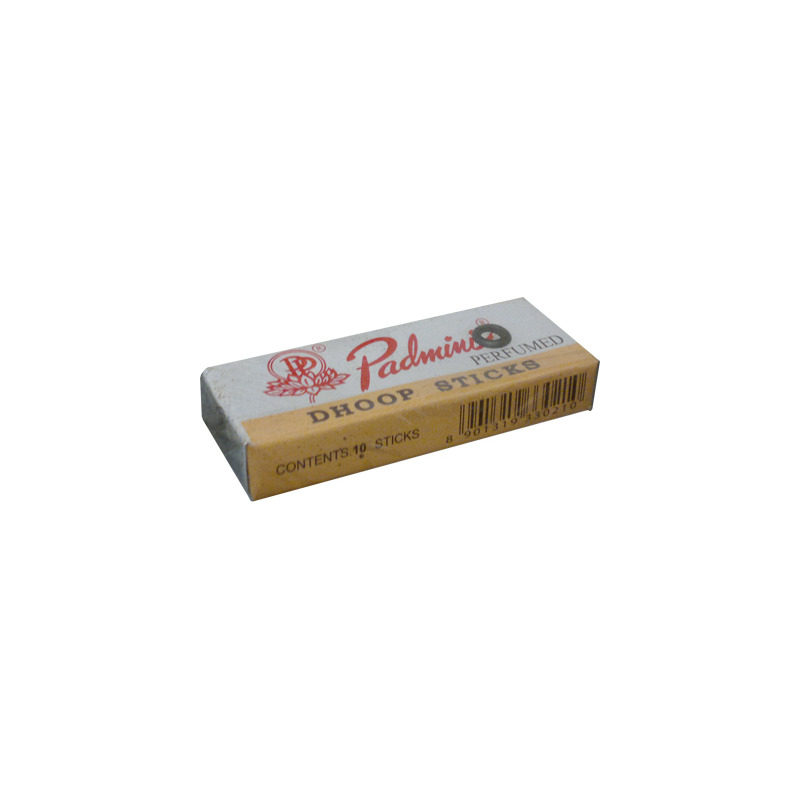 They purify and sanctify the place of worship with their natural fragrance. 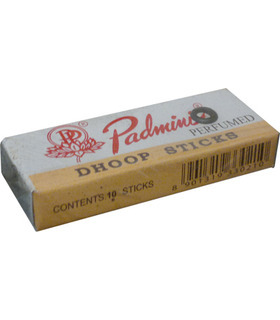 This pack contains 10 dhoop sticks.